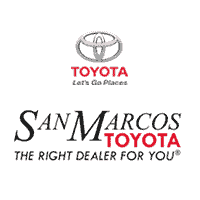 Toyota vehicles are known for their reliability and durability, so at San Marcos Toyota, we help every Toyota live up to that expectation. When you schedule Toyota service at our Toyota dealership in San Marcos, TX, you’ll gain the experience and expertise of Toyota-trained service professionals. Our Toyota service center is run by highly qualified Toyota technicians who are skilled at accurately diagnosing and repairing your vehicle right the first time. Our Toyota Express Maintenance lane provides quality service in a timely manner, so you can get the oil change, tire rotation, brake inspection or multi-point inspection your Toyota needs. We even offer a Toyota-Certified Collision Center at our local Toyota service center to help you get a paintless dent repair or windshield replacement. To ensure your Toyota stays in working condition for miles and years to come, schedule a Toyota service appointment online at San Marcos Toyota!